George Washington Carver was an African-American scientist, botanist, educator, and inventor. Born into slavery, it wasn't until the end of the Civil War that Carver received an education, excelling in his studies of science and the arts. His many achievements in agriculture and groundbreaking research in plant biology made him a prominent figure in the scientific community and nation. Best known for the many uses he devised for the peanut, the life and achievements of George Washington Carver makes the perfect addition to your lesson plans for Black History Month. 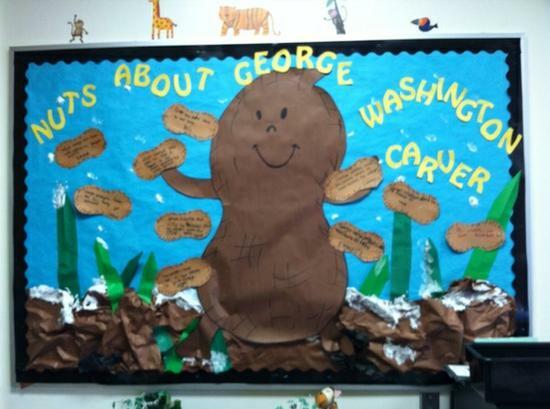 Here are a few bulletin boards to go along with your learning about George Washington Carver! Designed by Angela Lewis, the peanuts can display facts about Carver, different uses for peanuts, how Carver has impacted our lives today, etc. How cute is this "peanut gallery" created by Brenna Hamric and her kiddos?! 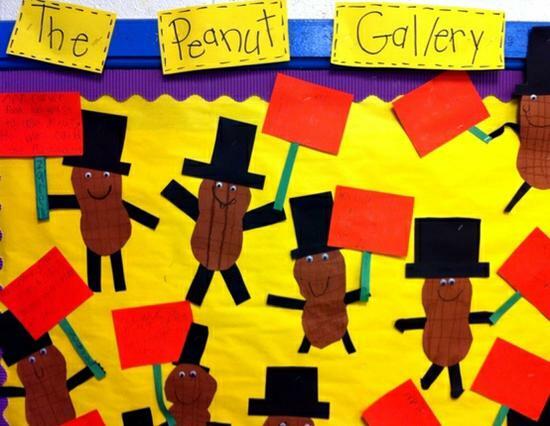 Students created peanut men and wrote facts about George Washington Carver on the signs for the peanut characters to hold. Another twist on the peanut theme, this display created by Jennifer Saylor offers a fun way to learn about and recognize Carver's many accomplishments! We know your kiddos will have fun with these displays! Happy learning & happy decorating! 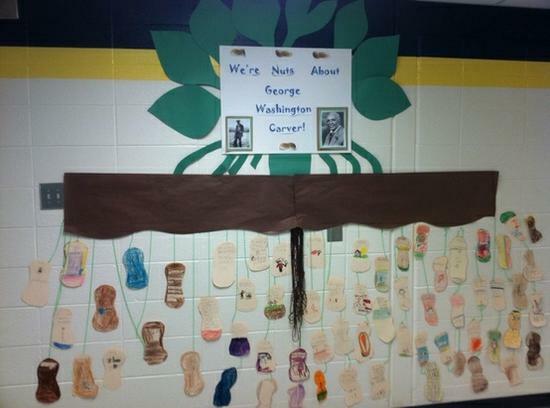 Supplies: Nuts About George Washington Carver!